AWLA Calendar — Nice Work Co.
Each year, the Animal Welfare League of Alexandria (AWLA), hosts its calendar photo contest. 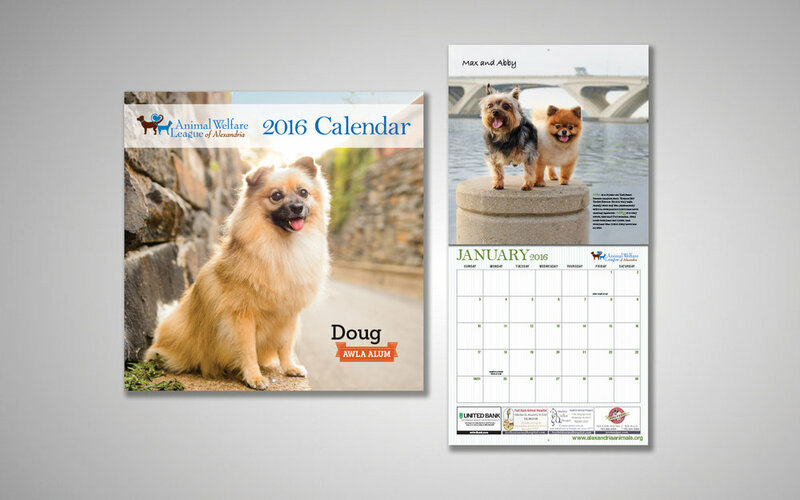 Open to anyone, the calendar photo contest encourages participation of pet owners to enter the contest and win the coveted spot on the cover of its annual calendar. Winners are determined by online voting. All entrants in the contest are featured in the calendar, with prominence determined by number of votes. 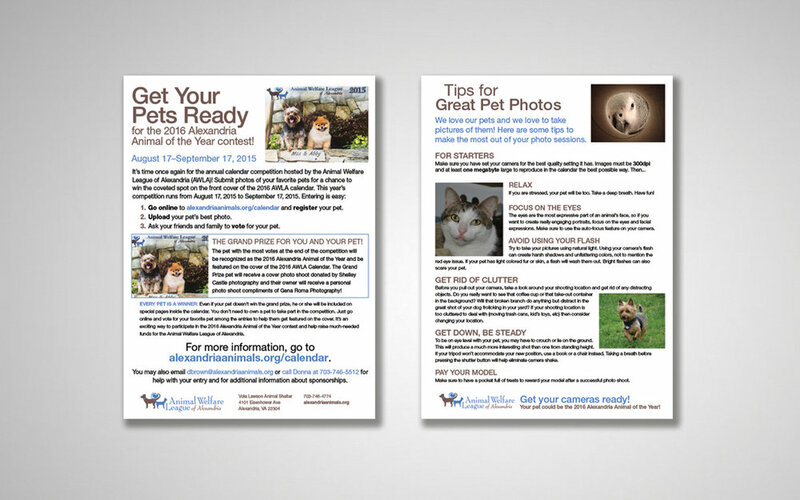 Nice Work Company helped to manage the contest, reviewed entries for print quality, created one sheets with tips for taking great pet photos, and designed the calendar. We were also enlisted to create online graphics announcing the contest and point-of-sale displays for retail sales. The calendar photo contest exceeded revenue expectations dramatically over previous years.